Click for more tournament pics! The Brown’s take the top spot on Stillhouse Hollow. Use your Facebook account to leave us a comment! Note: Facebook comments posted here are visible to everyone. Lake OH Ivie Sprint 2-Day Tournament – The Gold’s secure the win with a huge 24.60 lb day one limit of bass! 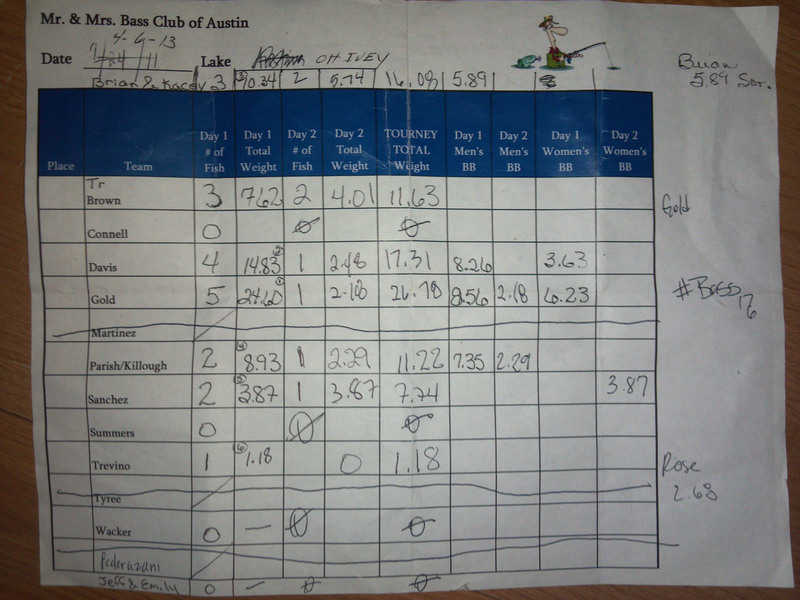 The Golds won the heavy stringer side-pot on day 1 and Brian and Kacey took it home on day 2. Picture of hand written results. 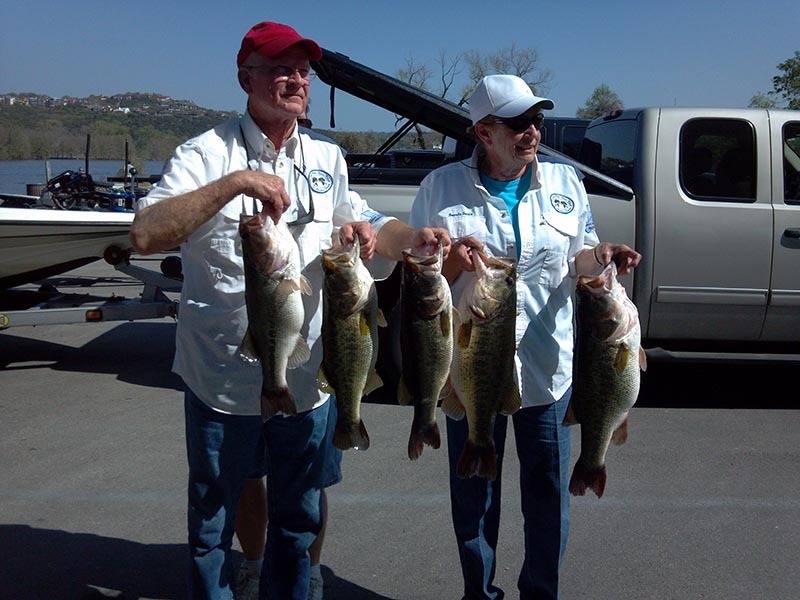 Lake Austin Tournament – Brenda and Cliff Davis weigh a ridiculously gigantic limit of bass to blow the socks off the competition and take the win! 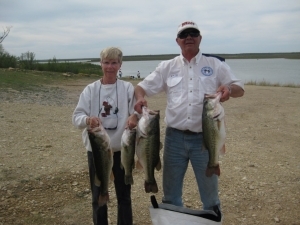 Brenda and Cliff make it into the MMBC record books by weighing in 33.93 pounds for five bass. 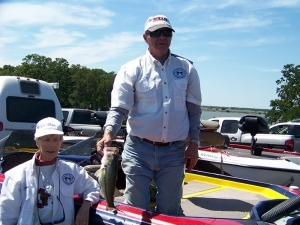 The previous record was 31.51 pounds which was caught on Falcon Lake. Who says you have to travel more than 45 minutes to catch a record stringer? 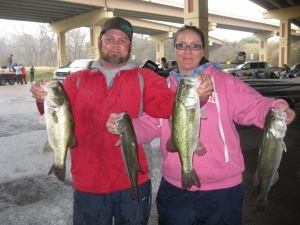 Not only did they break the one day record but they also claimed the men’s and woman’s big bass of the tournament and are now holding the big bass of the year titles. Brenda brought in a 9.08 pounder, but that wasn’t going to take the big bass honors because she also had a beautiful 10.39 pound giant to claim woman’s big bass. 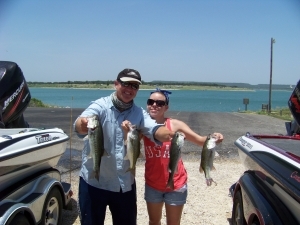 Cliff caught the men’s big bass with a 5.94 pound Lake Austin largemouth. 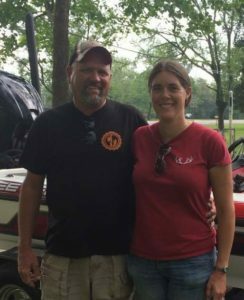 It was a truly special day on the lake for the couple. Lake Dunlap Tournament – Parish/Killough take the win! 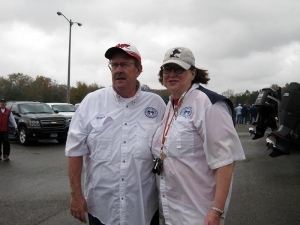 Fayette County Lake Tournament – The Connell’s Win The First Tournament Of The 2013 Season! To Top It Off, It Was Joe’s Birthday!